Enhance your promotions with the finest quality textile printing in the industry! 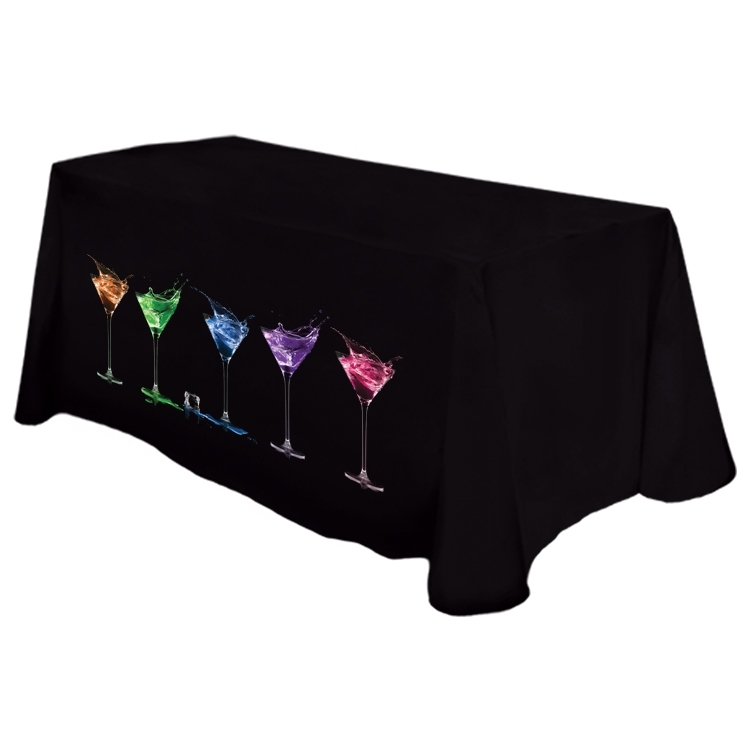 Custom imprinted table covers are a perfect way to increase brand recognition at any event. • Finished with rounded corners and merrowed edges. Machine wash cool, tumble dry on low heat and remove promptly, use steam iron or steamer at low setting.